Kicheche Bush Camp is a small‚ classic‚ intimate‚ luxury tented camp completely unfenced‚ amongst stunning whistling thorn acacias. The ultra low-impact spread of six guests tents in the trees and low escarpment beyond‚ provide the perfect hideaway in this outstanding wilderness. Kicheche Bush Camp is located in the Masai Mara within the Olare Motorogi Conservancy bordering the Reserve. The Conservancy‚ through it’s strict limit on bed numbers‚ offers an incomparable game viewing experience without crowds. The camp is located in a prime wildlife area and game viewing starts at your doorstep. The location is also ideal to enjoy the wildebeest migration. Depart Nairobi on the 45 minute scheduled morning or afternoon Safarilink flight from Wilson Airport to the Masai Mara. Touch down in this magnificent wilderness and your guide will be there to greet you before setting out across the plains where you will have your first wildlife sighting enroute to camp. You will then be met by the camp hosts and given a briefing before settling into your tent and freshening up before lunch. Afterwards‚ relax and absorb the surroundings before setting off on an afternoon game drive in the conservancy till sunset. You may come across giraffe nibbling on the highest leaves or elephant stripping bark from the tastiest trees. 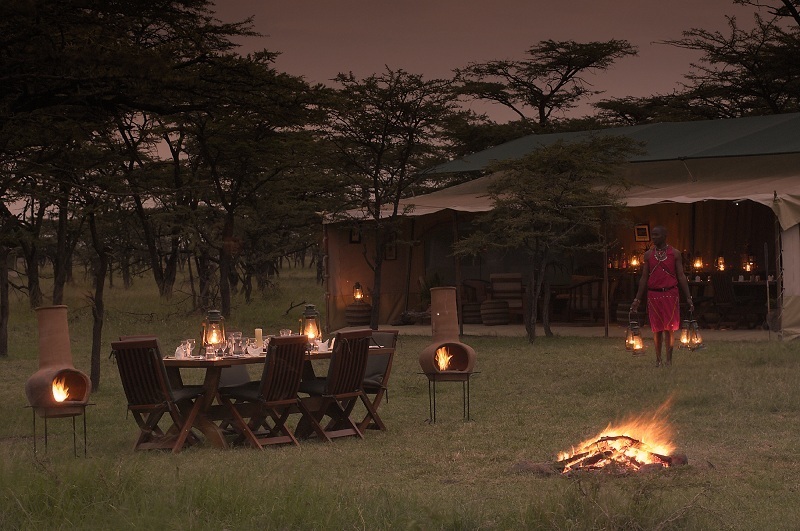 Return to camp at dusk for hot showers‚ then an aperitif by the fireside with your hosts and other guests before settling down for dinner. After breakfast back at camp the team will bade you farewell as we transfer you on your final journey across the plains to the airstrip for your Safarilink flight back to Nairobi at 1100hrs.